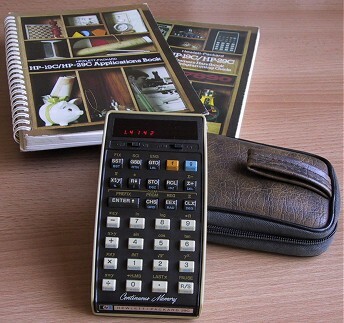 the 29c from 1977 is the most advanced of the 20 series (woodstocks). like the hp 25 but more powerful, it offers 98 fully-merged program steps, 30 memories (16 non-volatile), indirect addressing, labels, subroutines and continuous memory. the 19c is functionally identical but with a built-in printer. "the sucess and prosperity of our company will be assured only if we offer our customers superior products that fill real needs and provide lasting value, and that are supported by a wide variety of useful services, both before and after sale." statement of corporate objectives. 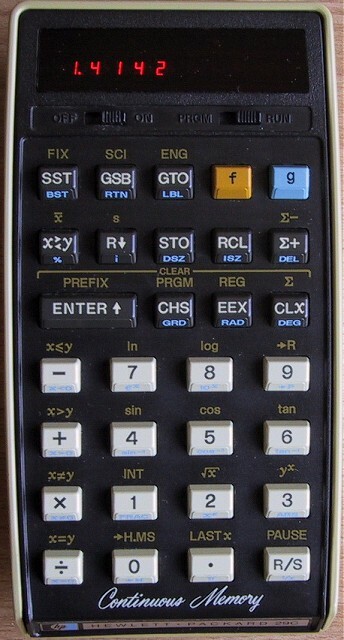 hewlett-packard, 1977.
the machine is conveniently palm sized and easy to operate with quality keys. it comes in a protective, fur-lined zipper pouch. shown here with the pouch, user manual and the applications book which contains a program library.